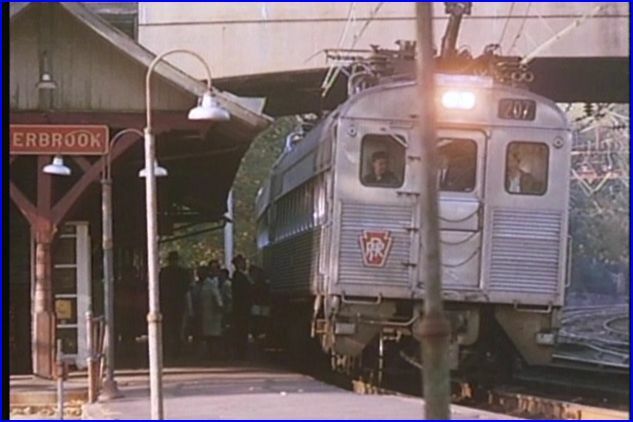 Emery Gulash had many encounters with the Pennsylvania Railroad between 1952 to Penn Central 1969. 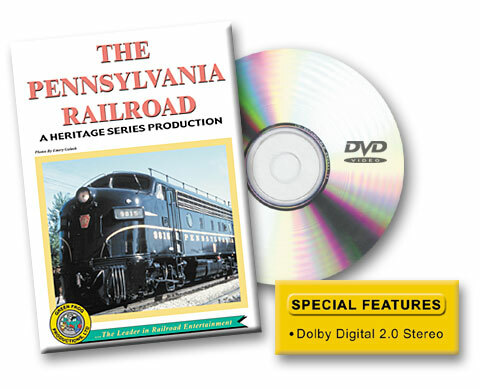 The Penn Central years are also on Green Frog. 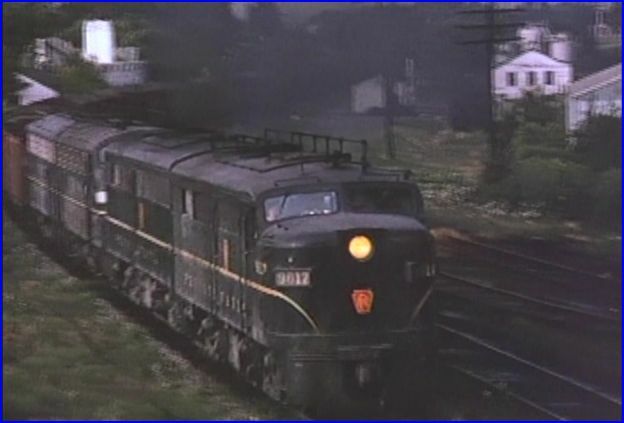 This interesting film begins in the 1950’s, steam to diesel transition era. Locations and years bounce around. Pennsylvania, Ohio, Michigan, Illinois and Indiana. Action packed program. The cinematography of Emery Gulash is first class. The 16mm films are very clean. His expert framing, and lighting awareness, create pleasurable viewing. A master at work! There was a vast array of power on ‘ the standard railroad of the world. 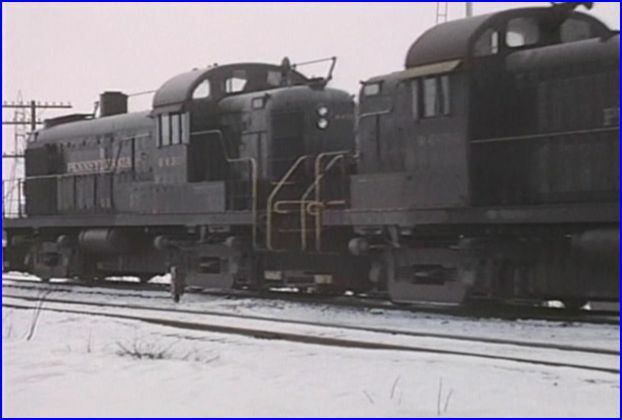 Steam engines and early diesels from; Alco, Baldwin and EMD. Many different locomotives. 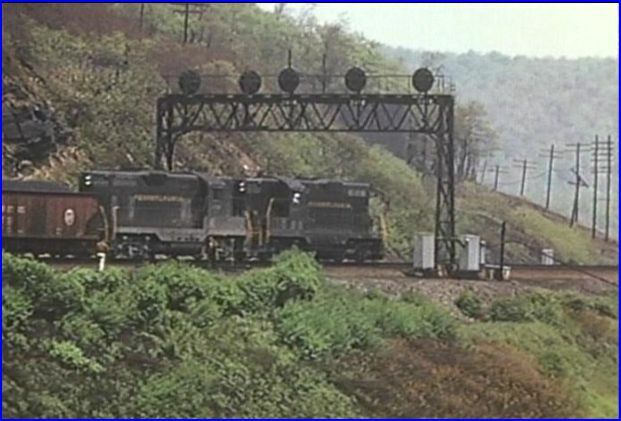 Note the unique to Pennsy, trainphone antennae on the diesels.The old freight cars and cabooses are a treat. Plenty of freight trains too! 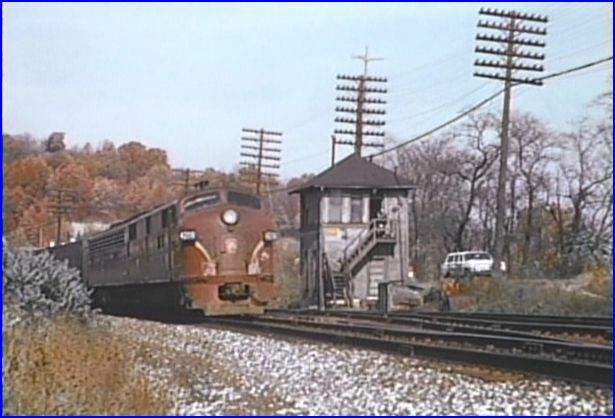 A wide variety of caboose types are in use on PRR. Check the yellow cupolas for ‘pool service’. Some old, Mae West types with large cupolas. Simplified Focal Orange paint shows up in later years. Trainphone antennae are mounted on some of the cabin cars. Decapods are at the end of their careers in yard service. Newer Brunswick Green F7’s pull a freight through the Hollidaysburg yard. Carleton sees a pair of F7A units switch the local at the DT&I interchange. C&O GP9’s rollby with a freight. Marion has coal trains led by EMD F7’s and Alco FA2’s. 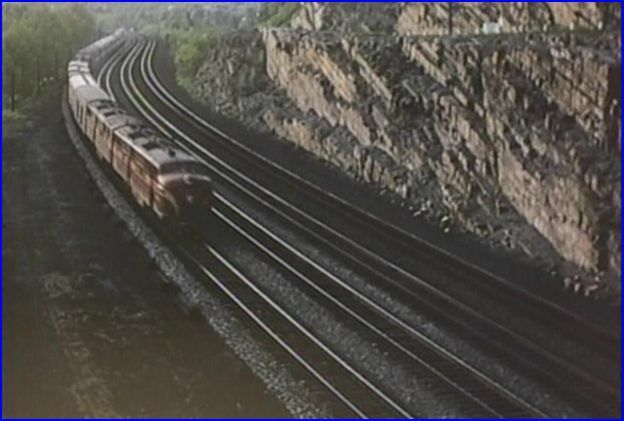 More coal trains around the system. These are a long ways from today’s unit coal moves. GP9’s are commonly found on freight trains. Baldwin Sharks are seen in Michigan. Electrics are to be found in this show. Much of this was filmed with colorful autumn foliage. The famous GG-1’s are operating on the Northeast Corridor. 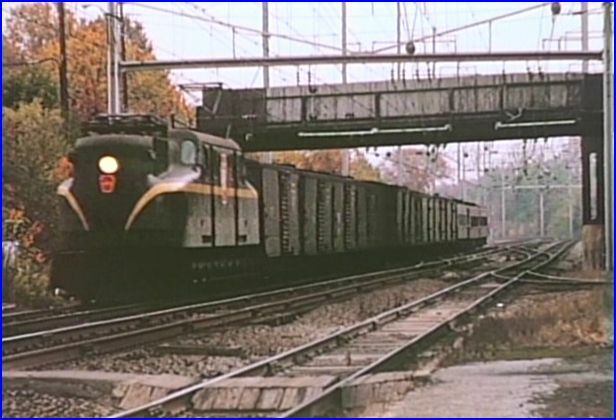 GG1 locos are viewed hauling all kinds of trains. The GG1 wears various paint schemes. MP 54 motors with commuters,. 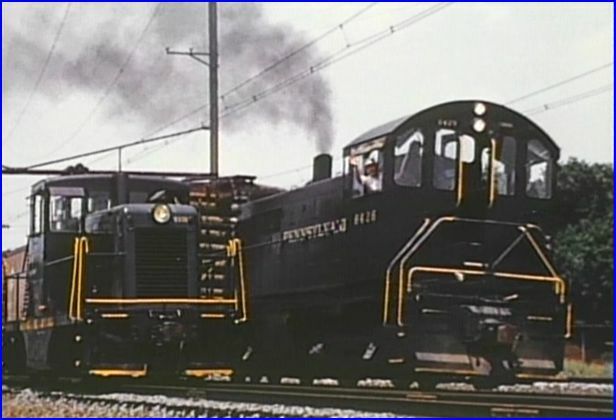 P5A boxcab motors pass in Enola Yard, at Harrisburg. Big, boxy E44 engines and Budd Silverliners are present within this chapter.. 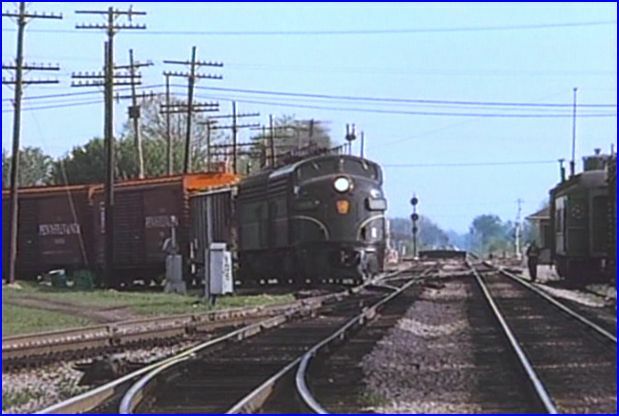 Passenger trains such as Broadway Limited and Spirit of St. Louis make appearances. You’ll see the back in the day, mail and express too. Little Strasburg Railroad with it’s diminutive GE 44 ton switcher, works the PRR interchange track.. There is a great sequence at Conway Yard. Assorted diesels parade past Emery. This is all pure Pennsylvania power. Bob Carrera’s narration is accurate, and detailed. As with the older Green Frog shows, there are no maps. No chapter menu on this DVD. The chapters are accessible with the next button on the player. On screen graphics denote month and year of filming. Dubbed audio has variable sync results, it’s good enough overall. Fine shots of solid GP9 , F7 and RS3 led trains. Also, there are some extra freight cars left on film. An excellent 1969 closing chapter. 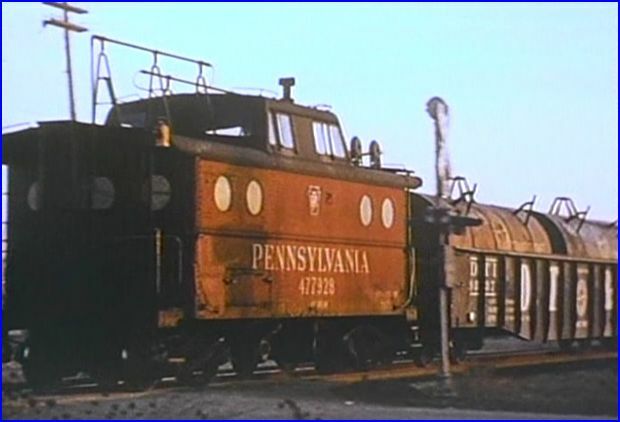 Pennsylvania was prominent in a sampling of Penn Central era trains. This is a classic show, of a world famous fallen flag railroad. Very enjoyable program. 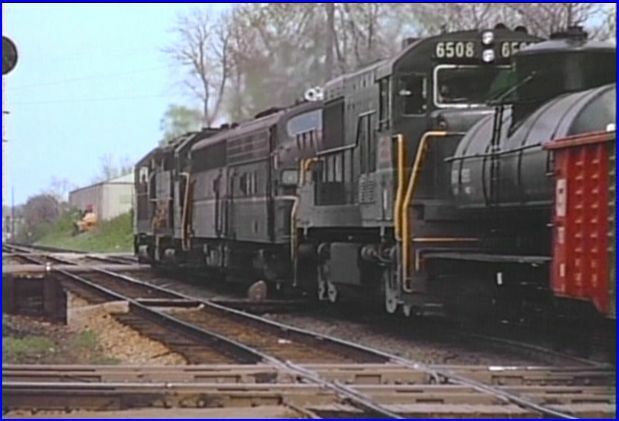 This entry was posted in ATVR Reviews, Green Frog Prod., Steam Train Reviews and tagged American Train Video Reviews, Chicago railroad, electric, Emery Gulash, Penn Central, Pennsylvania, Railroad, steam train, Train DVD, train video, train video reviews, transportation by William J. Hudson. Bookmark the permalink.